Got Powdery Mildew? Here’s Help. 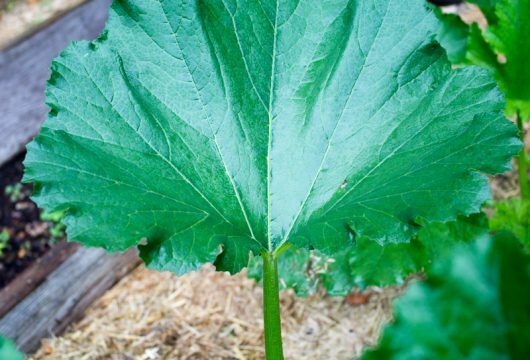 Got weird white patches on your zucchini foliage? Say “hello” to the powdery mildew fungus that attacks summer squash, cucumbers, melons, grapes, and — in my region, anyway — zinnias. How to prevent this frightful fiend? Its mortal enemy probably resides on a shelf in your refrigerator. What’s powdery mildew? Well, in Kevin-speak, which should not be confused with biologist-speak, it’s an obnoxious fungus that begins its career as windblown spores. When the spores land on a suitable host plant, they make roots on the surface of leaves. The roots draw nourishment from the plant, and produce white markings as they spread (and spread, and spread). Infected leaves eventually yellow, wilt, and die. Do you remember the milk spray (1 part milk to 2 parts water) that eradicated the dreadful blackspot fungus from my collection of roses? (Details here.) According to two scientific studies (here’s one, and here’s another) this same milk solution prevents the spread of powdery mildew. No one seems to know why, exactly, the milk-and-water solution works. One theory suggests that the proteins in milk react with sunlight, producing a short, antiseptic effect. Fungal spores present on the foliage are totally wiped out, but subsequent spores are not effected. Consequently repeated spraying — at least once each week, and always in bright sunlight — is necessary to prevent the fungus from taking hold. Zinnias. These, by mid-August, are always covered in powdery mildew. By spraying the foliage (not the flowers) with the milk solution twice each week, the insipid spores won’t have a chance to take hold. I’ll continue spraying until mid-September. Zucchini. I have just two of these plants. One was so badly infected with mildew that I had no option but to remove most of its foliage. Fortunately, the second plant shows no signs of trouble. Twice-weekly spraying should insure healthy plants for the remainder of the growing season. Any hope for infected leaves? 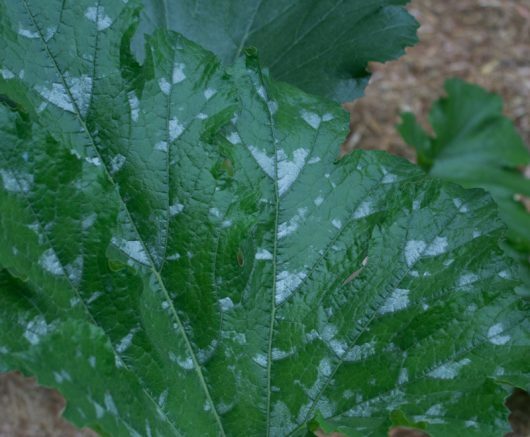 From what I’ve read, once powdery mildew establishes itself on a leaf, the leaf can not be saved. Such foliage must be removed and discarded via the trash can (not the compost pile). As long as some healthy leaves remain on the plant, and these are regularly treated with the milk solution, the plant should survive. When and How to Spray. Because milk works in association with bright sunlight, be sure to spray your plants when the sun is on the leaves. Spray both the tops and undersides of the foliage. Although I’m currently spraying my susceptible plants twice each week, other gardeners have reported good results with once-a-week spraying. Let intuition be your guide. The formula. I use 1 part dairy milk mixed with 2 parts water. 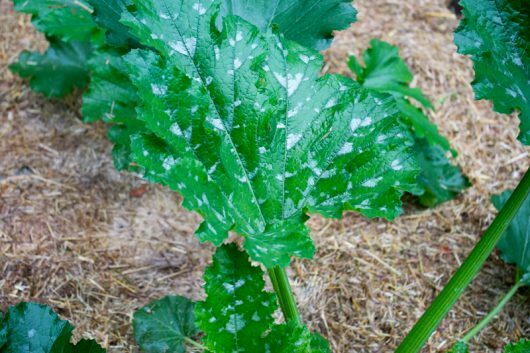 Is powdery mildew an issue in your garden, too? Shed your tears in the comments section below. And don’t forget to subscribe to my email updates! Classic Tomato Pie: The Video! What kind of milk….whole, low-fat, nonfat, condensed? Does it matter? Thank you, I will give this a try . So far every home remedy I’ve tried for powdery mildew has it seems helped it harm my mother’s roses more. Marvelous! Any solution for squash bugs? I garden in a community space, and once they get started thete’s no hope! Thanks so much, Kevin! I am pretty sure it would NOT be condensed, Mike. That is super full of sugar. I bet you could use nonfat dry and it would do fine. Thanks Kevin. Another wonderful tip. Hi Mike – As Megan said in the comment above, condensed milk is a no-no. Otherwise, use milk of any fat content you like. It’s the proteins in milk — not the fats — that affect powdery mildew. Hi Grani Frani – great idea! My patches of phlox have mildew and a actually ripped one whole patch out of the ground, as it had turned almost completely white. Would this work on phlox? I would hate to lose all of my phlox! Great tip. Will the milk and water solution work on phlox as well? We don’t use milk (in the house) here at all. Totally NON DAIRY. Can reconstituted powdered milk work? Hi Polly Johnson – If your powdered milk contains all the proteins of fresh milk, then yes, it should work just fine as a fungicide. Hi John and Howard – By all means try the milk solution on phlox! Very interesting. I stopped growing dahlias and zinnias because they got powdery mildew so easily. It’s nice to know there is a simple and non -toxic solution. I thought I couldn’t love you any more. The house just emptied of company and the leftover milk will go in my spray bottle today…with 1 part milk/2 parts water written on the label. Just for the sake of experimentation, I’m also going to try it on early blight, if that stuff appears on my tomatoes again this year. I think it’s important to note that some zucchini plant varieties have a natural “silvering” to the leaves. This is NOT powdery mildew or any disease at all, but just the plants normal appearance. If rubbing 2 of the leaves together partially removes the substance then you have an issue. But if not, you may just have a variety for which this is normal. My hollyhock foliage gets orange fungus in little dots. I thought it was clusters of bug eggs. No flowers, just sick leaves. I removed the damaged leaves but I think I will try the milk on the remaining leaves. They also get while markings as though a slug had left a trail but no holes in the leaves. As for zucchini, I have given up because when a squash bug learns I have even one zucchin plant, he finds it. Thanks so much Kate for your post. I was about to waste my time:-)! What a wonderful discovery Kevin and thanks ever so much for sharing that info. I tried the milk thing before with little luck. We get powdery mildew very bad up here! I try to buy powdery mildew resistant seeds for all of my squash. I also use an organic product called “jms stylet oil” with great success! I still get powdery mildew but its manageable. Those looking for Phlox solutions may want to consider planting a MILDEW RESISTANT variety of these lovely summer blooms. The pristine white Phlox ‘David’ has never had mildew here in my garden and it has been over 15 years. Looking for MILDEW RESISTANT basil… try ‘Eleonora’. Thanks, Kevin, for the important details about how and when to use your solution! Very helpful. Thanks, Kevin! My menarda/bee balm gets a white powder every year and then turns ugly. I’ll try the milk this year before the fungus takes hold. THANK YOU Kevin!!! So happy with this. I’ve battled powdery mildew on my zucchini for years and tried all the organics without success. Now I have a new weapon in my arsenal! MILK … great news. Love love love your posts and videos and recipes! PS when is the new cookbook coming out??? I was so delighted to learn of this fix for powdery mildew. I plan to also use it on my cucumbers as they usually get hit with this disease. Thank you so much for the information. We picked our first zucchini just today here in Michigan. My family dutifully visited my Italian nonna every week. She and my grandfather had an extraordinary vegetable garden at the back of their city home, edged with flowers. During summer, just before we left, Nonna would carefully wrap a zinnia for each of us, first in a wet paper towel, then in a waxed paper sandwich bag (Remember them? I still find them occasionally and love them!) secured with a rubber band. My three sister and I will all tell you that zinnias are our favorite flowers. They’re gaudy and not my usual choices for colors, but they’re such strong, happy flowers. Nonetheless, I have NEVER been able to grow them without getting powdery mildew and finally gave up. I always blamed it on Cape Cod’s humidity, but thankfully a nearby farm stand does sell them; and, believe me I will pay anything for my summery fix of cheerful zinnias! 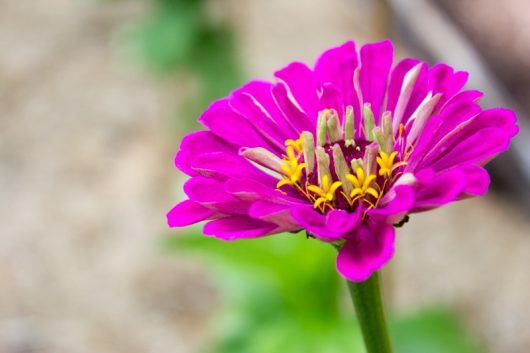 Next year, I am going to try to grow zinnias again, and I will use your milky tip to see if I’m successful. As ever, Kevin, thank you for your advice — keep us posted on the new book, please, caro. Thank you, Kevin! My husbnad bout “David’ phlox plants several years ago and a red variety for which we have never discovered a name. This year the white David is simply covered in powdery mildew, yet the deep rose/red one is clear. 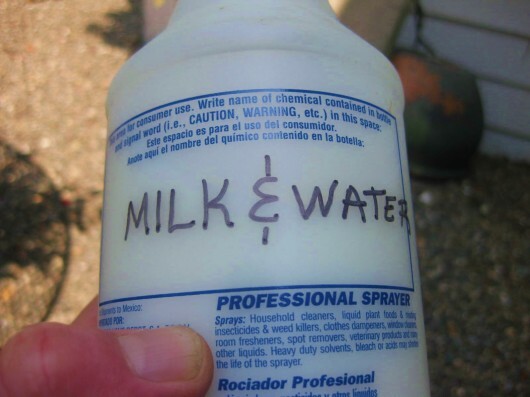 I’ll try the water/milk solution and let you know what happens. I will try the milk on my phlox and zinnias. But I would really love to know if any fellow readers have a good solution for squash bugs? Now matter where I put a zucchini or yellow squash plant in my gardens anywhere on our 1/3 acre, the darn things destroy them just as they start to produce. Thanks Kevin – I will be trying this tomorrow (if sunny) – some plants already showing signs and others still looking beautiful. Hope to stop it in its tracks. We have also fought the battle of the squash bugs and lose every year. We do get zucchini and squash for awhile until the bugs kills the plants. But this year I am trying something different – we have sprinkled diatomaceous earth (food grade) on the leaves and stems, keeping it away from the flowers but ok to get on the produce. “Diatomaceous Earth (DE) is a substance made up of the fossilzed remains of plankton; it looks like an off-white talc powder. It can kill any bug with an exoskeleton easily, but is safe for any mammal to eat. 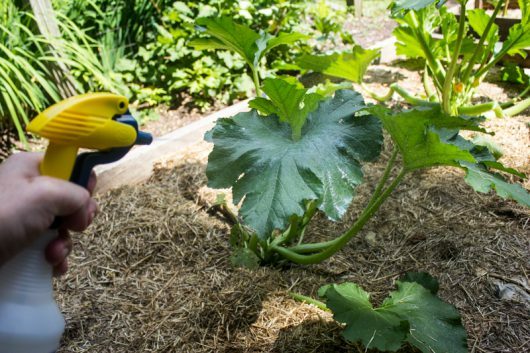 It is a popular way to kill bugs without using insecticide.” It can also kill bees which is why you need to be careful to not get it on / in the flowers. It’s a bit of a pain to sprinkle around and some washes off in a good rain, but thought we would try it this year to see if we can beat the squash bugs – at least for awhile. Wish I knew about this earlier in April. I believe I have lost my weeping cherry tree to the nasty fugus!!! White stuff on leaves, wilt, and leaves dropped off. But thanks for posting now in case it gets to everything else this year. To all of charming Kevin’s friends: I wish when you make comments about gardening issues you would mention where in the world you live! Different climates have different issues. Re #26 … Diatomaceous Earth usually comes with warnings about inhalation. Check your package directions and beware of human and pet inhalation. use almond milk for this milk spray? Hi Chris – Good question! Vegetable milks (almond/soy/rice) are not suitable for garden application. Dairy milk acts as a fungicide because of the proteins/enzymes it contains. You can also add baking soda to the mixture to help with stubborn cases of mildew. Thanks, Kevin! I’ll try this on my honeysuckle, which gets both powdery mildew and black spot. Yay Kevin! You are a Gem! I had bad luck with powdery mildew and decided not to plant squash or similar this year. Also I had foot surgery in late Winter, so I cut way back. You give me hope, and who doesn’t always have milk around?! Thank you so much, and happy gardening! For Diane (Comment 16): Those trails through your hollyhock leaves are probably caused by leaf miner. Unfortunately, the milk will not help get rid of these & you’ll have to use an insecticide (organic ones work) on them. Thanks for the great tip Kevin! I do have a happy old time yellow crookneck that has those natural markings on the leaves. So far it looks happy! Because phlox grow in so thickly, I trim away most of the stems, leaving about 5 sturdy ones. That allows air circulation and greatly decreases the mildew issue. The remaining flower stalks will also produce sturdier, bushier flowers. All the best to you Southern gardeners! whats the ratio of the milk and water? Hi Cathy – I use 1 part milk mixed with 2 parts water. What I said a good solution for tomato Blythe? At least I think that’s what it is…yellowing of lower stems, brown patches. Thanks! This absolutely works. I read about it in “The Hop Grower’s Handbook” by Ten Eyck and Gehring, and the milk : water ratio is very flexible, so measuring isn’t even necessary. (As my husband says, “Milk is partly water.”) Cow’s milk – any kind – not nut “milk”. Kevin, I’ve made your lemon tart twice this summer. It is so good. Thank you! I am so going to try it as I’ve never had plant due but I’m sure I’ll get more from healthier plants!! If you have food obsessed dogs, like my funny white Labrador named Wilson, make sure that they can’t get to those milk-sprayed leaves. He did my plants in before the milk was able to do its work! Otherwise the milk and water treatment works fairly well in Northern Utah. Kevin, I love your natural remedies. I often mix a teaspoon of vinegar in a quart of water to spray plants affected by spotty fungus –works well on begonias, fiddle leaf ficus, etc. Re milk and water remedy, a nursery worker shared he also uses powdered milk and water to spray crape myrtles/other trees affected by white flies. And an organic gardener friend told me about a canned sticky spray coating called “Tangle Trap” she uses to trap ants, flies, beetles that cause diseased leaves on citrus. I’ve used this sticky spray coating with great success on my young five ft. satsuma tree that was getting curled leaves. I just inserted several bamboo stakes –each about three ft. long in ground all around tree trunk about a ft from trunk. I then put a large blue plastic cup upside down atop each stake, then sprayed all the cups with a coating of sticky spray which solved my insect problem that was causing the citrus leaves to curl and discolor. The sticky stuff holds up well and can be left in place as a deterrent and resprayed when it wears off. This was an easy fix — I look forward to trying Kevin’s milk and water idea on my zinnias –thanks for your great tips!!! Kevin, thanks for passing along your natural remedy for getting rid of powdery mildew on plants. I have a large shrub and also a Maple tree in my yard, that always end up having powdery mildew on the leaves every summer. What is weird is that there are other plants and shrubs near the two that get mildew, but none of the others have ever had trouble. I want to give this method a try, since it is natural. I think I am getting this on my pea plants. Would it still be okay to pod and use the peas. I see no sign of it on the pea itself. Or would this be something else. We are dealing with almost drought conditions in this area but high humidity. Do you feel I should pull my plants up? What ever you spray, do so early in the day, never late in the day because the “spray” must dry thoroughly before evening or the plant will “sit” with moisture way too long making it worse. I look forward to trying the milk solution on my garden, especially my zinnias. I love to grow zinnias just so I can make bouquets for my lovely neighbors. The more I cut, the more they bloom! I have discovered another garden solution they may interest you or your readers; for people who have a water feature like a pond, there is sometimes a problem with something called ‘string algea’. Not all algea is problematic, but this one is invasive (usually in the spring for me). The pond catalogs sell products that are made from barley (even bundles of just dried barley straw). I decided to try barley from the grocery store ( for soups and cereal). I put 4oz. in a nylon stocking, added a small rock, tied it is a knot and threw it in the pond. Within days, the string algea is dead and floating where it can be fished out with a net. My pond is about 1000 gal. and I only have to do this treatment (maybe) twice a season. What do you think? Great Post. Thanks for sharing this precious information. It was very helpful. Please share some information about powdery mildew. Its a very common disease. If the milk remedy seems to attract animals (someone mentioned their dogs being attracted to it) you can get a bottle of peppermint oil and mix some with water and then spray around your plants whenever you treat them with the milk solution. I know a lot of bugs and small animals don’t like the peppermint oil so it keeps them away and it may well put your dogs off your plants too.